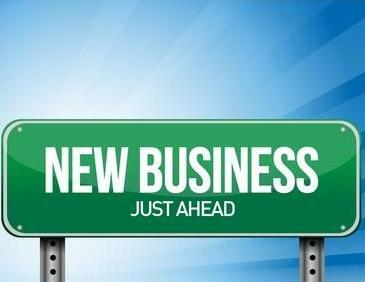 What Should New Businesses Focus On? Running businesses takes a lot of time, energy and effort. Building it into a successful enterprise would require even more. Since you need to put a lot into your business, you better make sure that you love what you do to make it easier and more fulfilling. Besides, doing something you love means you already know your product or service in and out, eliminating the steep learning curve that first-time entrepreneurs normally encounter. It’s not easy to find financing for a budding enterprise, let alone an unproven business idea. You can look for angel investors and venture capitalists or file for a loan, but the best way to start a business is to stay in your job and do your business in your spare time. It may take a while before your business actually starts making money, so you should remain employed to keep money in your wallet while going through a start-up’s lean early stages. Despite doing something that you love, which should make you an expert on your product or service, you still need to research about your competitors, find out if your business idea is viable in your area, learn about your customers, and study the many details about running a business as opposed to merely enjoying a hobby. Details about your business (i.e. corporate structure, number of employees if any). A marketing plan that specifies pricing, product/service details and promotion strategy. A risk analysis that analyzes market operations, staffing and management risks. Don’t wait for the need to disentangle legal problems. Organize all the regulative requirements concerning your business, including the business name, structure, goods and services tax, insurance, permits, payroll taxes—everything that could cause a potential concern if not addressed early on. Going online gives you a fast and efficient medium for marketing. It’s a cheap way to reach and communicate with new markets. Allows you to run your business anywhere. Gives your business a persistent global presence. Allows you to automate many of your business processes. Make sure to hire accountants, lawyers and any other necessary professional to handle any administrative details that you’re not qualified to perform, so that you can concentrate on running your business. If you don’t, you may end up spending more money than you have to, if you do these tasks yourself. Your start-up may be small, but this shouldn’t stop you from treating it seriously. This means you should always be polite, considerate and professional in all your dealings. To add to your credibility, don’t forget the necessary paraphernalia such as professional-looking business cards, a dedicated phone and a business e-mail address that doesn’t use a free webmail domain. Sometimes, non-traditional approaches to marketing are better suited to small businesses. For instance, instead of paying for an expensive magazine ad, try viral marketing in social networking sites or introducing your product to people waiting in line for something, making them more receptive. Thinking out of the box would give you new ideas in promoting your business or businesses. Once you actually (or figuratively) show the Now Open sign, you should be ready in giving your sales pitch—just make sure you’re enthusiastic or at least look enthusiastic when delivering it. You also need to find out how to keep them coming back (tip: it starts with new products and promotions, and great service). Remember that you’ll face rejection too, so be ready to deal with it. Many people started businesses that were laughed at by many at first, don’t ever give up.